Robert J. Steppler (center) who is deaf-blind joins other people and their interpreters in applause at one of the deaf-blind community classes held biweekly. 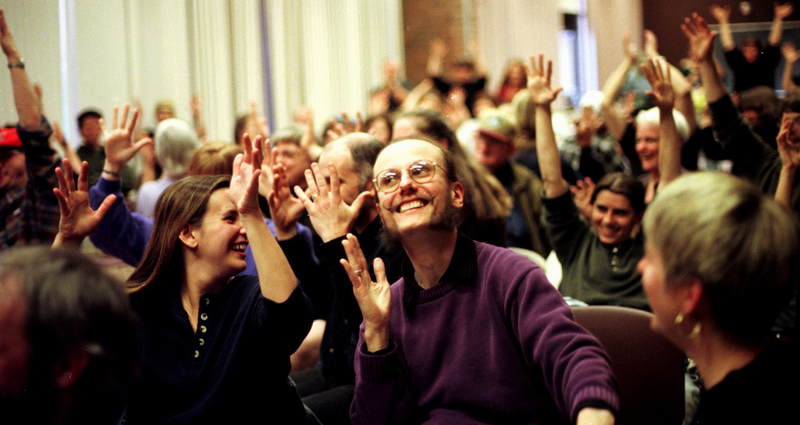 In the hearing culture, people clap to give applause. In the deaf culture people wave their hands in the air, and in the deaf-blind culture people wave their hands and stomp their feet to create vibrations.